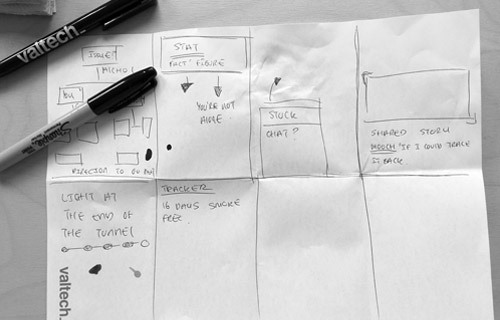 Born out of the frustration of sharing ideas across email with no collaboration between the team, I devised a set of creative exercises to try improve the creative culture of the agency and create more compelling ideas. Encourage your participants to write down as many possible flavours within the minute and be as bold as they possibly can! Finish by sharing your ideas as a group and go on to reference surprising ideas, like Heston's Bacon & Egg ice cream. Swap out 'ice cream' for a relevant product or service to encourage your team to turn off their inner filters. 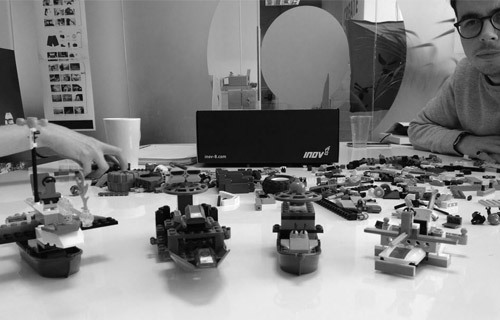 Free building with Lego prior to a idea-led meeting, helps to prime the brain, allowing the participants to become more elaborate, imaginative and divergent with ideas. It's great fun and helps with interpersonal relationships. You can hear more on the study by business professors Page Moreau and Marit Gundersen Engset here. Introduce a daily brain teaser to help improve the teams aptitude to solve problems and ignite conversation. If you find yourself running out of riddles, move on to picture puzzles and anagrams. Even these countdown conundrums are a great way to get those cogs turning come Monday morning. Ask your team to each fold an A4 piece of paper into 8 sections, then allow 5 minutes to fill in the sections with different ideas around your topic. Once the 5 minutes is over, share your ideas and ask everyone to mark a dot on 3 of their favourite ideas. Go forward with the ideas that have the most dots. This is great for accelerating idea generation and going forward with mutual ideas. Discovered whilst taking part in the Homeless Hack Manchester.